Google and its employees will donate Rs 7 crore towards relief and restoration work in Kerala as well as Karnataka, the company’s vice president, Southeast Asia and India, Rajan Anandan said at an event on Tuesday. Google and its employees will donate Rs 7 crore towards relief and restoration work in Kerala and Karnataka, the company’s vice president, Southeast Asia and India, Rajan Anandan said at an event on Tuesday. “Google.org and Google employees are contributing $1M, to support flood relief efforts in Kerala and Karnataka,” a tweet posted from the official handle of the tech giant quoted Anandan as saying. Anandan made the announcement at the Google for India event in New Delhi. The Google V-P said that the company’s Crisis Response team has launched several measures to help victims of Kerala floods. Among other measures, it activated the “person finder” tool that fetched 22,000 records. 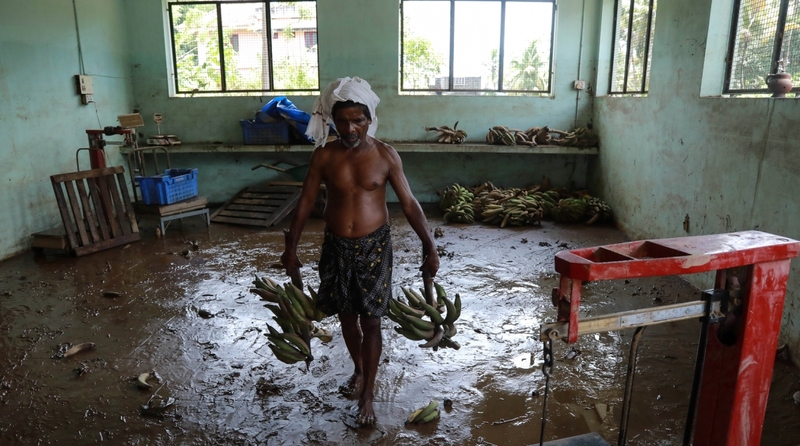 Around 400 people have died in Kerala in the devastating floods triggered by incessant rains since 8 August. The state has been battling to recover from the huge loss of life and property including necessary civic infrastructure. Around a million people are sheltering in around 3,000 refugee camps across the state. According to various estimates, Kerala has suffered losses up to Rs 20,000 crore. In neighbouring Karnataka’s Kodagu district, torrential rain killed 17 people, damaged over 2,200 houses. According to estimates, the cumulative loss in the ravaged district is said between Rs 2,000 and Rs 3,000 crore due to heavy damage to infrastructure like roads, bridges, power lines, apart from houses and agricultural land.